Credit card debt consolidation offers one easy monthly payment for all your debt. Looking for relief from high interest rate credit card debt? Credit card debt consolidation could be the answer you need. Credit card debt has a way of causing problems for your finances. Other debts like loans have fixed payments that you can plan around in your budget. But with credit cards, the monthly bills on credit cards vary based on how much you owe. Fact: Credit cards are revolving debt, meaning the payments change as your balance increases or decreases. In some cases, this means you must pay the whole balance off every month (like with American Express cards); these are known as charge cards. In most other cases with general-purpose credit cards like Visa and MasterCard, you pay a percentage of balance owed. This is also how most high-interest store credit cards work. But in all cases, you can’t always plan ahead for how much income your credit card payments will use each month. As a result, when you overcharge or rely too much on credit, your bills can get out of control and start to take over your budget. You pay more and more, but never seem to get anywhere. That’s because even with average credit card APR, interest charges eat up more than half of every payment you make. So, even though you meet the minimum payments month after month, you don’t get any closer to zero. Credit card debt consolidation combines multiple debts into one payment at the lowest interest rate possible. There are several ways to do this. There are also ways to consolidate other types of debt, such as student loan debt consolidation. But you generally can only consolidate similar types of debt. So, if you have both credit cards and a student loan amount to repay, you may need two solutions to pay off everything you owe. Simplify and lower your total monthly payments. Reduce the interest rates applied to your debt. The first part makes it easier to manage debt in your budget. You only have one bill to worry about. And depending on which consolidation option you choose, you may even have fixed monthly payments. That can make it easier to plan ahead for debt repayment than the typical revolving payments you see with credit cards. As for reducing your interest rates, the goal is to get the monthly interest charges down as low as possible. This allows you to focus on paying off the actual debt (principal), rather than just the accrued interest charges. Since more of each payment goes to eliminating principal, you can often get out of faster even though you may pay less each month. No matter which solution you decide to use, your goal should be to achieve an interest rate that’s no higher than 11 percent. Ideally, you want the interest to be even less than that. If the interest rate is any higher, you won’t get the benefits you need to pay off the debt quickly. Don’t pay more than you need to as you work to eliminate credit card debt! See how much you time, money and energy you could save with debt consolidation. There’s more than one way to consolidate – in fact, there are four. We’ve put together the following chart to help you understand each of the four options. With balance transfers, you move the balances from your existing credit cards to a new balance transfer credit card. If you have a good credit score, these cards offer 0% APR promotion periods when you first open the account. Promotion periods range from 6-24 months, depending on your score. Ideally, with excellent credit, you can qualify for 0% APR for up to 48 months. That gives you two years (24 payments) to focus solely on paying off principal interest-free. Be aware there may also be fees associated with transferring your balances; understand these fees before you apply. Fees generally range from $3 to 3% of each balance transferred. To use this solution, you take out an unsecured personal loan (a loan without collateral). You use the money you receive from the loan to pay off your credit cards and other debts. Once executed, the only debt you have to pay off is the loan, itself. This consolidation option offers the benefit of fixed monthly payments. The costs to use this option are also relatively low; you usually only need to pay a loan origination fee, although some lenders may waive them. Other than that, the only cost is the applied interest charges. With good credit, you can usually qualify for a low rate, particularly compared to the relatively high rates on credit cards. This is a secured version of the loan described above. If you can’t qualify for the low interest you need without collateral, you may be able to borrow against the equity in your home. This allows you to qualify for lower interest rates, even with a weaker credit score. If you take out a home equity loan, you enjoy fixed monthly payments, just like you do with unsecured loans. There’s also an open-end credit line version of this loan called a Home Equity Line of Credit (HELOC). In this case, you qualify for a credit limit based on your equity that you can withdraw money from as needed. You pay interest-only for 10 years, then start paying principal plus interest. As a result, your payments increase significantly after 10 years. Be aware that borrowing against your equity to pay off credit card debt is the highest risk option! If something happens and you can’t make the payments, you can put yourself at risk of foreclosure. This is why experts often recommend that you should tap equity solely for the purpose of paying off credit card debt. You effectively convert unsecured debt to secured. The cost savings is rarely worth the increased risk. Still, if you plan on using a home equity loan or HELOC for other purposes, such as a home renovation project, you can use some of the funds to pay off a few credit card balances. 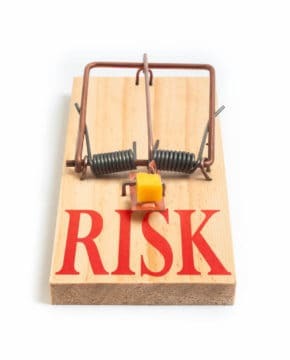 But always consider your options carefully and understand the risks before you decide to touch the equity you have built up in your biggest asset. A debt management program is essentially a professionally assisted form of debt consolidation. You enroll in the program, through a credit counseling agency. With this option, you still owe your original creditors and you don’t take out any new financing. The credit counseling team basically acts as a go-between to set up a repayment plan that works for you and your creditors. They also negotiate on your behalf to reduce or eliminate interest charges and stop future penalties. Once the plan is set up, you make one monthly payment to the credit counseling agency. Then they distribute it to your creditors. Your credit card accounts are frozen, so you can’t make new charges while you are enrolled. The cost of setting up a debt management program varies by state and depends on your budget. But, by law, fees are capped everywhere at $79. If you can’t qualify to consolidate debt on your own and/or don’t want to borrow against your home, a debt management program is usually your best option. The Best Way to Consolidate Debt. In normal circumstances, you can pay your debts each month, but when credit card debt gets out of control, it can throw your entire financial life out of balance. So how do you pay off credit card debt efficiently? Since your monthly payments increase as your debt grows, it can be almost impossible to catch up on your own. This is especially true if your interest rates are so high that most of each payment is going toward interest charges. This is where debt consolidation can be invaluable. It simplifies your payments and makes it easier to eliminate debt so you can regain control. But how does debt consolidation work? With any consolidation plan, you combine all of your unsecured debts into one monthly payment. 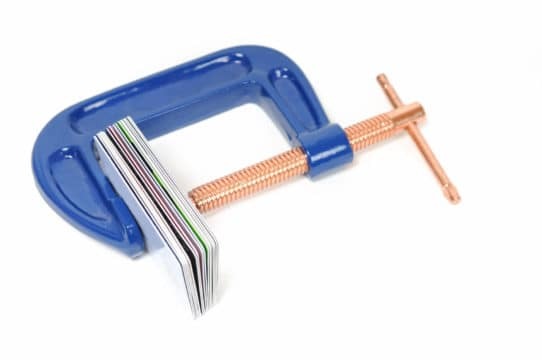 Unsecured debts include credit cards, retail store cards, medical bills and even some loans. One of the goals of debt consolidation is to get the lowest interest rate possible applied to your debts. That way, your money can go to paying off the debt instead of the interest added every month. In most cases, since the interest is lower, you can get out of debt faster even though you may pay less each month. 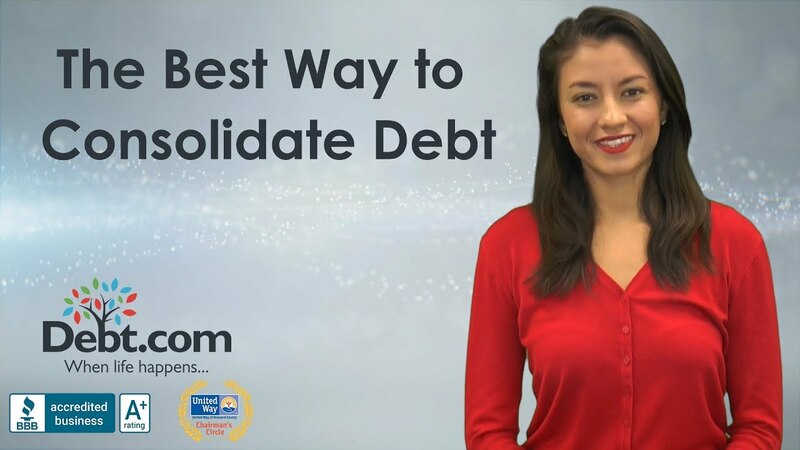 There are several different ways you can consolidate debt. A credit card balance transfer is a consolidation option you may be able to use if you have a good credit score. Just be careful of high transfer fees and make sure the interest rate on the card is as low as possible. If you have good credit, you may also be able to qualify for an unsecured personal debt consolidation loan. This is where you take out a low-interest loan then use the money to pay off all of your other debts. That leaves the loan payment as the only debt you have to repay. If you don’t have good credit, these do-it-yourself consolidation options may not work. You either won’t get approved or won’t qualify for an interest rate that’s low enough to provide the benefit you need. With assisted debt consolidation, all of your debts are put into one plan so you only have one payment to make. They also negotiate lower interest rates on your accounts. You get on a monthly payment plan to get out of debt once and for all! To find out How to Pay Off Credit Card Debt simply fill out our form or better yet, call us now, and we’ll match you with the best solution for your situation, for free. We are A- plus rated by the better business bureau and we have helped thousands of people become financially stable. When life happens, we’re here for you. Every financial situation is different. So, the solution that worked for a friend or neighbor may not always work for you. What’s more, choosing the wrong solution can make your situation worse, instead of better. So, you need to choose carefully. If you don’t have a good credit score, don’t bother with balance transfers and consolidation loans. You have other reasons to tap your equity and paying off credit card debt is simply a secondary purpose. You’re certain that you will not encounter any challenges meeting the payments; otherwise, you risk foreclosure. If you use a balance transfer, you should be able to pay off the full balance before the 0% APR period ends. Most debt consolidation loans have a term of 4-5 years (48-60 payments); the monthly payments depend on the loan term and how much you owe; thus, this usually only works if you owe less than $35,000, depending on your income. Finally, if you have a bad credit habit, DIY solutions are risky! They eliminate your balances and don’t freeze the accounts. That means you can start charging again immediately after you consolidate. You end up with more debt, instead of less. You have 5 credit cards, 2 store cards and total credit card debt of $45,000. Your FICO credit score is 550. You purchased your home last year using an FHA loan program. Which solution should you use? Tip: Since your home was purchased with an FHA loan, you probably don’t have equity available. A 550 credit score means you can’t use the other two options. The biggest benefit of any credit card consolidation option is that you make a plan that helps you eliminate debt quickly so you can pay off your debt in full. This helps you avoid credit score damage. It can even help you build credit as you reduce debt and build a positive credit history. This is one advantage that consolidation provides over debt settlement. Settlement programs may help you become debt free faster, but they are guaranteed to hurt your credit. If you care about credit damage, then consolidation is usually the better choice. The second benefit of consolidation is how much money you can save. High interest means your debt grows faster each month with more interest added. On a high interest rate credit card, your debt actually cost more money. If you reduce the interest rate, it will save you money as you pay off debt. This is especially important for high-rate credit cards. Reward credit cards and store cards often have rates above 20% APR. More than two-thirds of each payment covers accrued interest charges. Plus, on a minimum payment schedule, you can end up paying more in interest charges than the amount you originally charged to the card. This is why consolidation often offers the benefit of getting you out of debt faster even though you pay less each month. This is most commonly seen with debt consolidation loans and debt management programs. Statistics show that the average debt management program client sees their total monthly payments reduced by up to 30-50%. Finally, debt consolidation simplifies your life by streamlining your monthly debt payments. Instead of worrying about keeping up with multiple bills, you only have one payment to worry about. You can stop juggling bills and putting off expenses that you can’t afford to cover that month. With any DIY option for consolidating debt, the risk is really a matter of will power. When you consolidate, your existing credit card balances drop to zero. But this doesn’t mean that you’re out of the woods with debt! You still have just as much debt to pay off as you did before consolidation. So, if you start spending on your credit cards before the consolidated debt is paid off in full, you make your situation worse instead of better. And it can be really tempting to start spending when you have zero balances. Your creditors may make it even tougher by increasing your credit limits because you’ve paid off your debt. This means you must have the discipline to avoid making new charges until you pay off the consolidated debt. You must set a budget that covers all your daily expenses and gives you extra cash flow to cover emergency expenses. That way, you can avoid new charges that just run up your balances again. Running up new balances isn’t an issue with a debt management program, because your accounts are frozen when you enroll. You can’t make any new charges on your existing accounts. You also can’t open new credit cards until you complete the program. Of course, this presents another challenge. You don’t have those credit lines to depend on every month if you need or want something. The credit counseling agency will help you set a budget, but you still have to learn how to accept living credit-free. And that’s not always easy, especially if you’ve developed credit dependence. The biggest risk of consolidation is only faced when you use a home equity loan or HELOC. You’re taking unsecured debt and securing it as your borrow against your home equity. If you fall behind on credit card payments, they can threaten as much as they like, but a creditor can’t take your home. The worst they can do is sue you in civil court. The only way you’d be at risk of losing your home to cover debt repayment is if you file for Chapter 7 bankruptcy. On the other hand, using home equity means your home is at risk of foreclosure if you fall behind. If you can’t make payments on a home equity loan or HELOC, the lender can start a foreclosure action. So, while your credit card bills may be paid off, now you need to worry about losing your home. This risk is particularly high with a HELOC because of the balloon payments. You pay interest only for 10 years during the “draw” period, so the payments relatively low. But at 10 years the repayment period starts. Now you’re paying principal plus interest, so your payments jump significantly. If you still aren’t sure which option is right for you, Debt.com can connect you with a certified debt professional who can help you identify the best way to consolidate in your situation. Article last modified on April 9, 2019. Published by Debt.com, LLC . Mobile users may also access the AMP Version: Credit Card Debt Consolidation: Everything You Need to Know - AMP.